If you haven't had a chance to shop our Retirement Sale, there are still some incredible products left — not only can you choose from an assortment of remaining retiring items, you can also save even more. 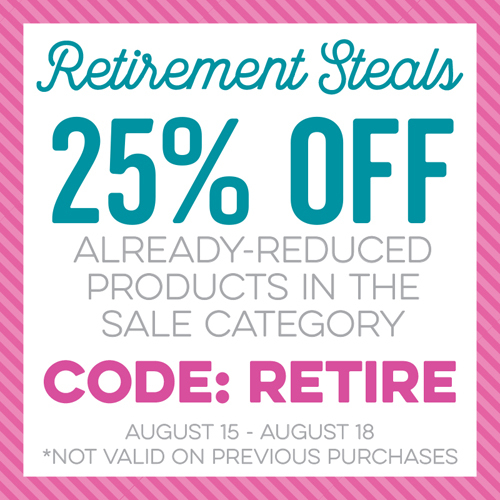 Now through August 18, use code RETIRE at checkout to get an additional 25% off already-reduced products in the sale category. Jules was feeling flamboyant for flamingos when she put this look together. Want to create a really cool background to pop your scene onto? The Radiating Rays Stencil is your answer! Kaja's hip hippos are totally chic in black, white, and a rainbow of colorful balloons. She took advantage of one of the benefits of our clear stamps by shaping the sentiment before stamping - what dynamic movement that adds to the finished product! 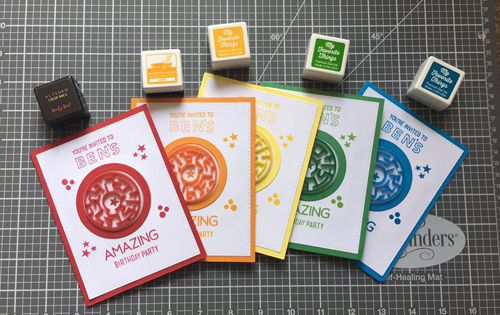 Our Rainbow Maze Shapes provided a super fun starting point for Nicole's colorful collection of invitations! Don't forget to stock up on Circle Shaker Pouches and Maze Spheres to complete the look — an invitation AND fun activity in one fell swoop. 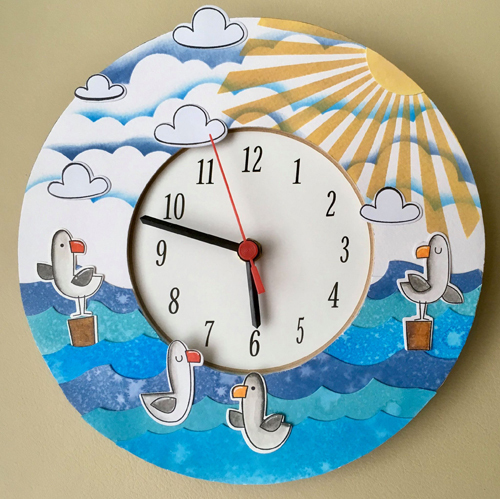 Crista started with a blank slate and a clock mechanism and through the magic of crafting, (and some irresistible seagulls,) created a cool clock for her new home! Our Cloud Stencil and Mini Cloud Edges Stencil have been hugely popular and I really love how Crista has combined them to create the perfect backdrop for her seaworthy scene. Graphic stars in citrus colors provide an exciting base for Cheryl's die-cut greeting. 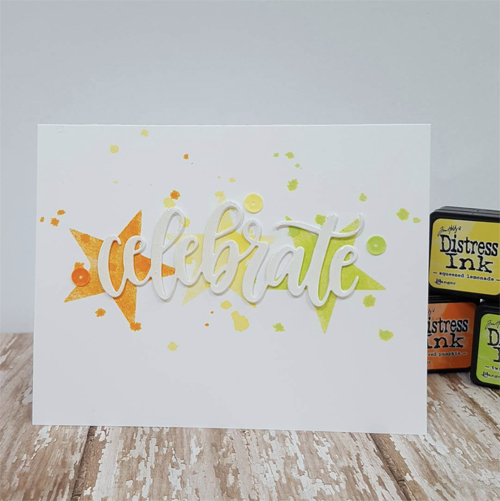 We love the gorgeous script look of the Celebrate Die-namics and how easily it integrates into looks created for a wide variety of occasions. 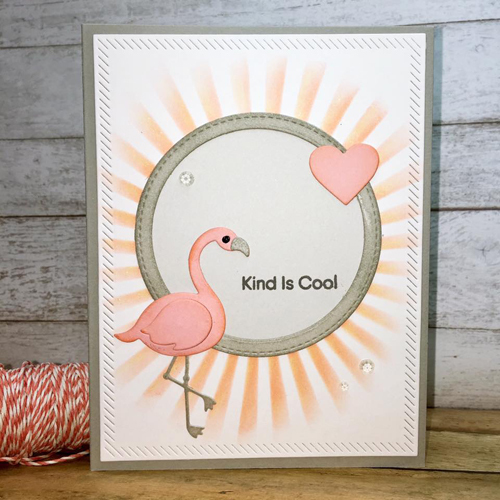 I love all of the creations and am so excited to see my card spotlighted! Thank you MFT.